Good old Russell Brand. Making waves for all the right reasons yet again. The last few days have seen him hugging the spotlight as hard as ever in his forgivably egomaniacal manner. Social networks have been flooded with his interview over Syria, where some excellent points were slightly obscured by the fact that he was talking to hysterically bombastic conspiracy nutter Alex Jones. But anyone who might think that he gives it the counter cultural, politically conscious one in order to become the resident edgy luvvie in celebrity circles must have taken note of his performance at the GQ Awards. And he wasn’t just inebriated either, as he is still standing by his comments. 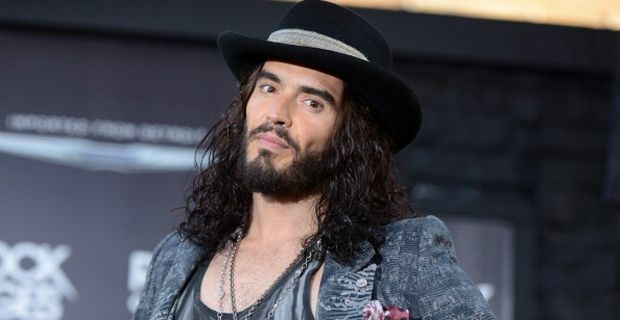 Having been awarded the ‘Oracle’ gong at the GQ Men of the Year ceremony, Russell settled straight into business by tearing the sponsor a new one. Hugo Boss, who doubtless thought that nothing could possibly go wrong with their association with the GQ awards, were swiftly disabused of their optimism as their Nazi collaborating past was dragged into the uncomfortable light of day. Brand cracked in with “any of you who know a little bit about history and fashion will know that Hugo Boss made the uniforms for the Nazis” before warming to his theme with a succession of jibes directed at the fashion house. Hugo Boss claim not to have known anything about uniforming the Nazis until 1997, perhaps stretching veracity as far as one of their suits on Eric Pickles. Brand reportedly went on to say: “The Nazis did have flaws, but, you know, they did look f***ing fantastic, let’s face it, while they were killing people on the basis of their religion and sexuality”. Brand was gloriously evicted from the afterparty but absolutely stood by his remarks, tweeting a conversation between him and the editor of GQ/.